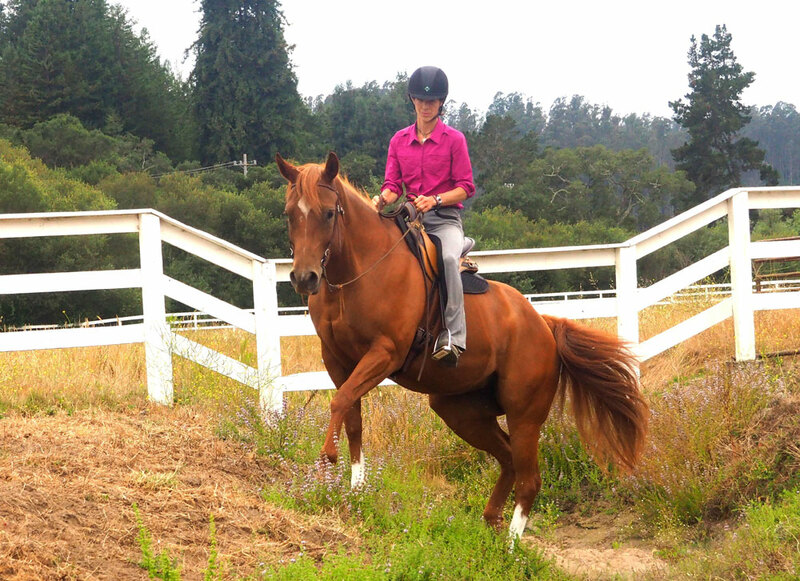 Use changes in terrain to supple your horse’s shoulders. 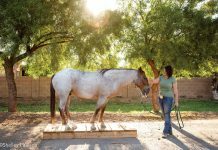 The ditch in your pasture might seem an unlikely place to refine your horse’s gaits, but terrain drops are actually very useful for changing or stimulating muscle recruitment. When a horse has to negotiate a short, steep downward slope followed immediately by a quick rise, he has to rotate his shoulder blades up and back. This helps loosen the muscles between his shoulders and ribcage. When a horse favors one front leg over the other, it negatively affects muscular development. He will typically lean toward one direction or bulge outward on one side of his body when moving. A helpful technique to remedy this is to stimulate his shoulder muscles using terrain. The action of abducting, or drawing the front leg out and away from the body for balance helps equalize effort in the front legs. It also introduces a new range of motion and can free up tight spots around the shoulder muscles. Feel free to use any ditch you have on your property. In the photo, I’m using the drainage trench in our front paddock. Find a ditch or canal that slopes downward approximately 5 to 10 feet and then rises up the other side. Be sure the banks of this ditch are stable enough to ride on and not crumbly or dangerous. 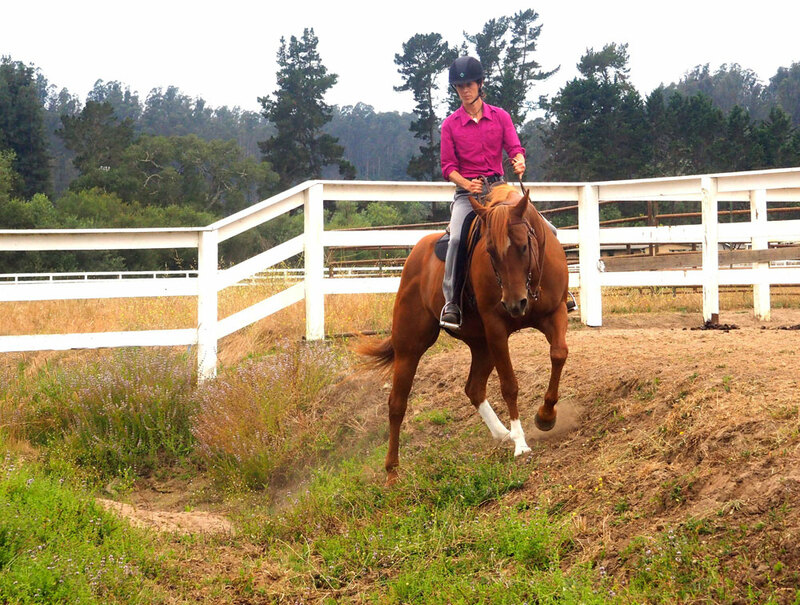 Begin by standing in the bottom with your horse’s body parallel to the banks or sides. Make sure he is calm and relaxed. This is not an exercise you want to scurry through. Now proceed to ride a shallow serpentine that keeps crossing the ditch. With each loop of your serpentine, proceed just two or three steps up the side of the bank and then return back down. The loops should be tight and swift, but be sure not to pull your horse around with the reins. Your contact should stay as light as possible. Remember to change your horse’s poll flexion and bend for each loop, the same way you would in the arena. Be sure to not let him “fall” down the slopes with quicker strides. His rhythm should remain measured throughout. 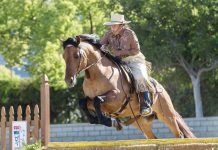 On your first few attempts, he might scramble a bit if he’s unaccustomed to this kind of exercise, but most horses catch on quickly.